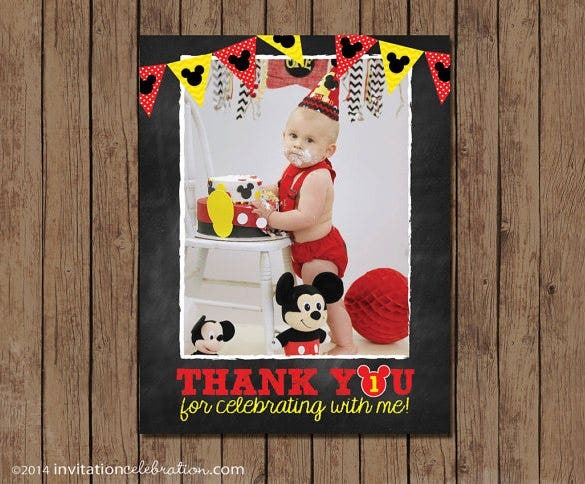 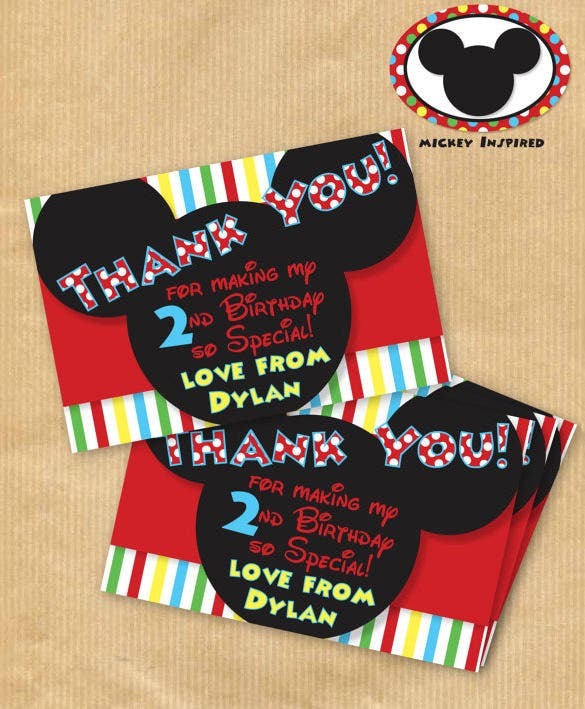 Is it that time of the year when you completely forgot to choose a Thank You cards design for your kid’s birthday party? 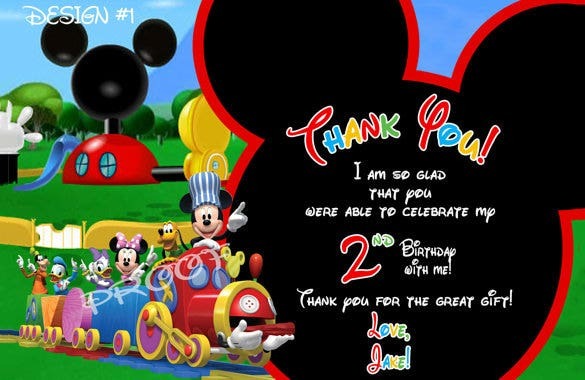 To save you the headache, we present to you a collection of the world’s best and cheapest Birthday Thank You Cards. 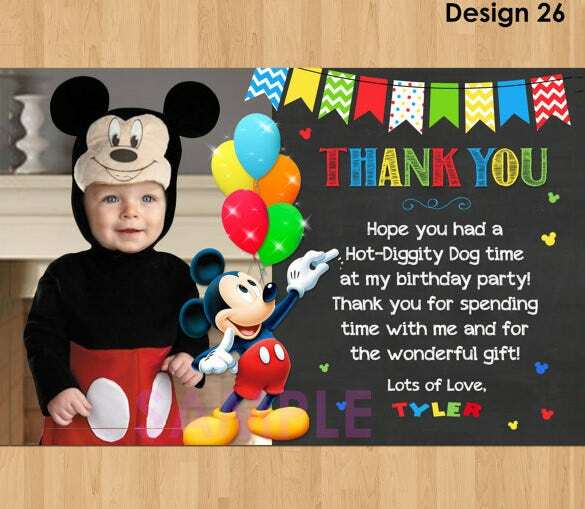 Choose from our hundreds of Mickey Mouse layouts, some even feature Pluto, Minnie, Goofy and the entire gang to liven up the mood. 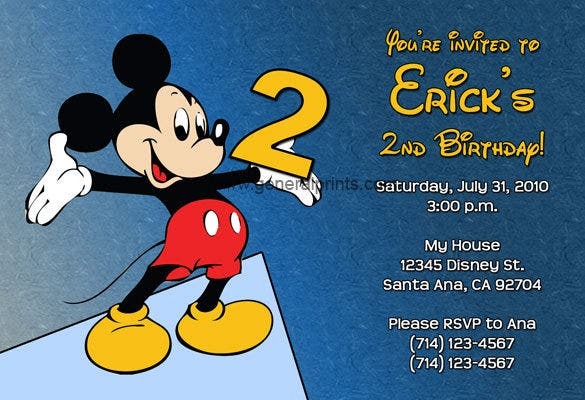 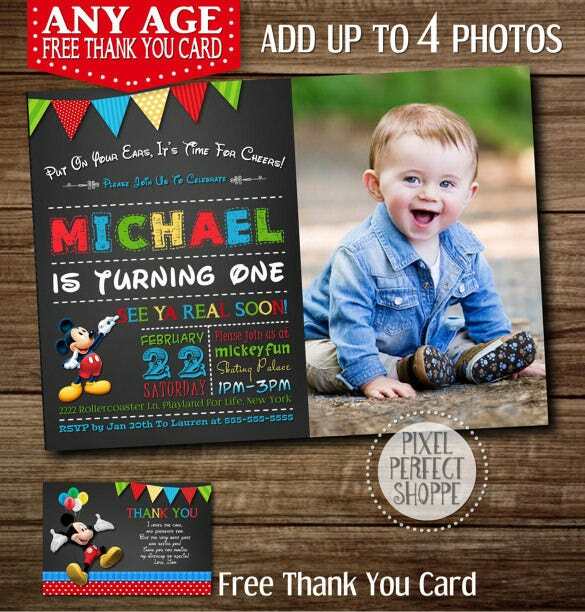 Choose more than one design to add some extra fun to your kid’s party bash. 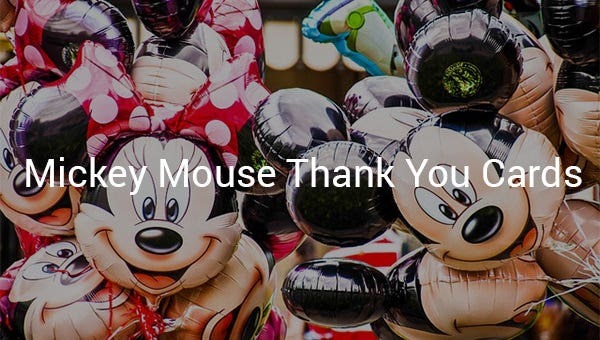 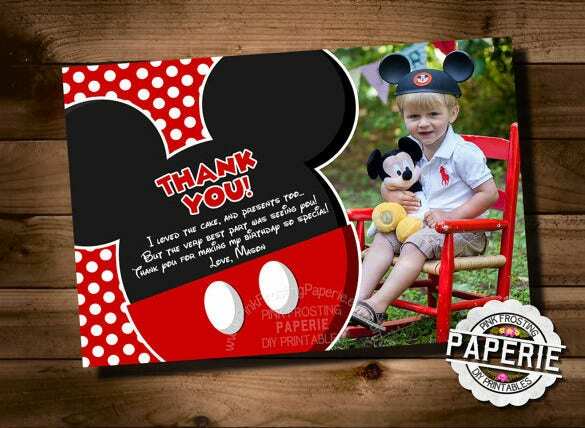 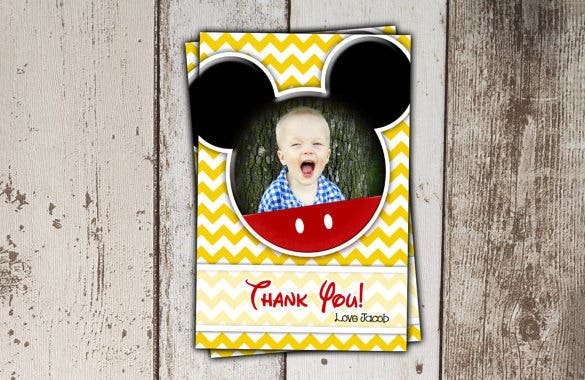 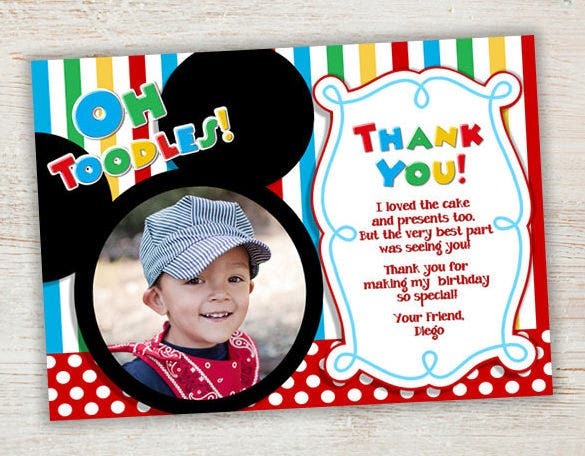 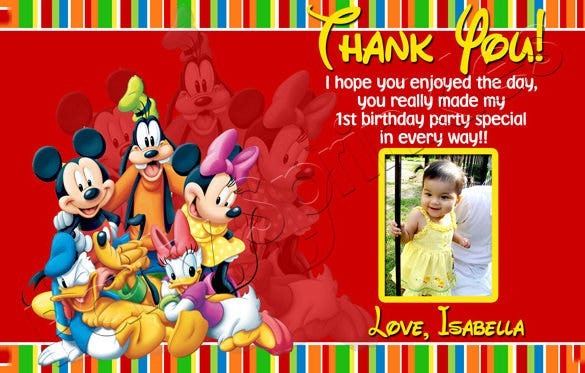 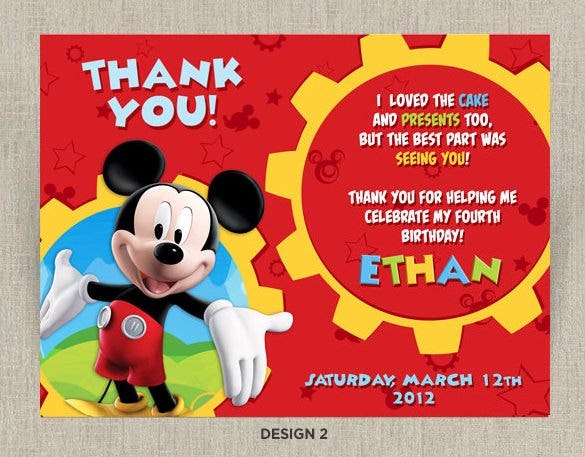 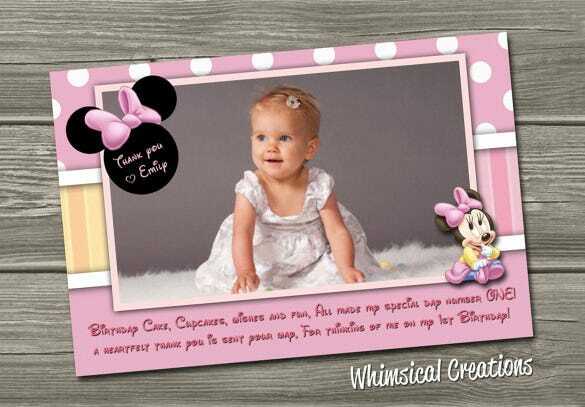 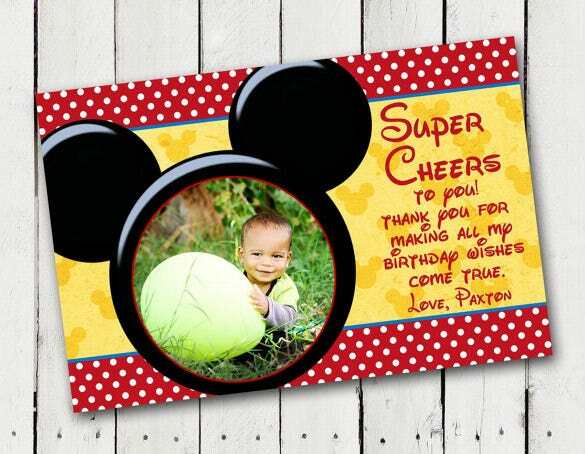 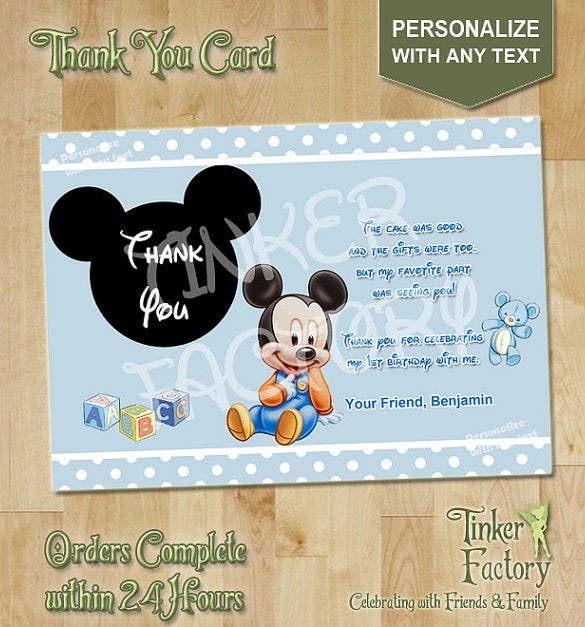 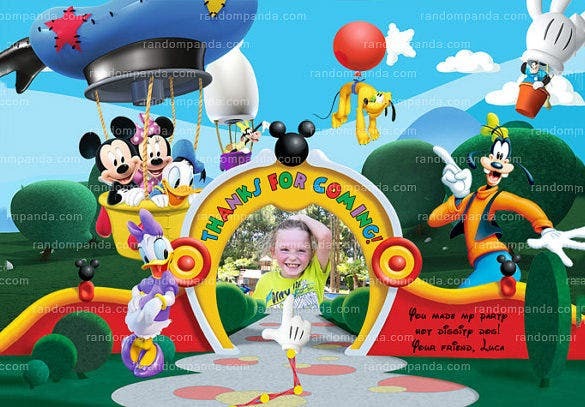 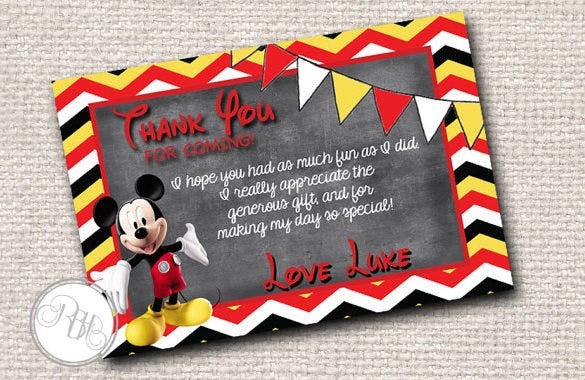 Choose your kid’s favorite color, font and message to design the new Mickey Mouse thank you photo cards. 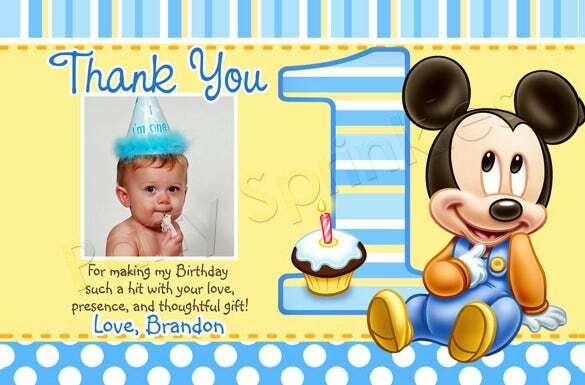 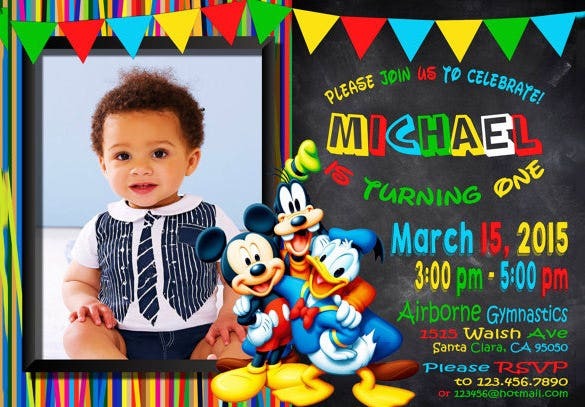 These templates are added gifts for your kid’s birthday.